Stonehenge is one of the world’s most famous monuments. It stands on Salisbury Plain, in Wiltshire, and its giant stones can be seen from miles around. Stonehenge was built over many hundreds of years. Work began in the late Neolithic Age, around 3000 BC. Over the next thousand years, people made many changes to the monument. The last changes were made in the early Bronze Age, around 1500 BC. We may never know exactly why Stonehenge was built, but people probably gathered there for religious ceremonies. Explore below to see what Stonehenge looked like 4,000 years ago. The first task was to cut the boulders into shape. Archaeologists believe that the ancient Britons hammered wedges of wood into cracks in the stone. When the wood was soaked in water, it expanded and split the stone. Next, the builders used chisels and hammers to shape them. The stones were then transported to the building site. They were probably carried on rafts down rivers, then dragged overland by teams of men and oxen. It's believed that the stones were placed on giant wooden sledges and pulled along the ground using log rollers. The builders dug deep ditches for the stones. Then they pulled on ropes to raise them and packed the ditches with rocks to hold the stones in place. It took a huge effort to build Stonehenge. The only tools the builders had were made of stone, wood and rope! Only a few stones are left standing today. Find out how Stonehenge has changed over the years. Why did the ancient Britons build such a massive monument at Stonehenge? What exactly went on at this sacred site? Some people think that Stonehenge was used to study the movements of the Sun and Moon. Other people think it was a place of healing. The ancient Britons believed that the Sun and Moon had a special power over their lives. It is very likely that they held special ceremonies at Stonehenge on Midsummer’s Day (the longest day of the year) and on Midwinter’s Day (the shortest day of the year). Many experts believe that Stonehenge was used for funerals. They suggest that people carried the dead along the River Avon, and then walked up to Stonehenge in a grand procession. The most important funeral ceremony of the year was probably held on Midwinter’s Night at Stonehenge. 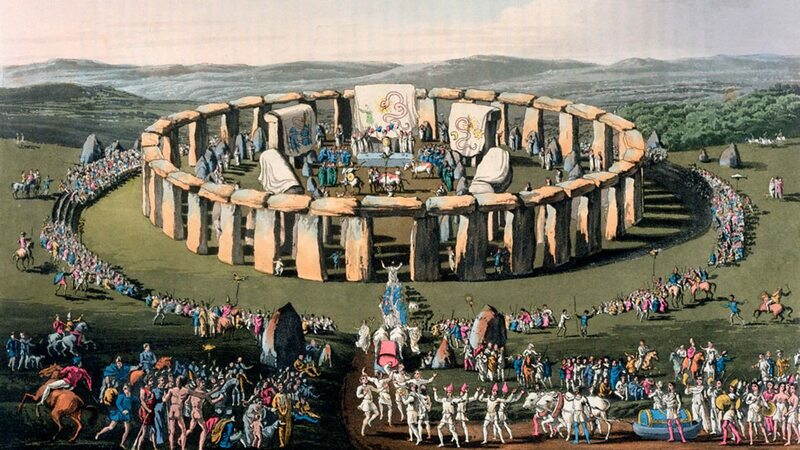 This is an artist's impression of a ceremony at Stonehenge. We can only guess what happened there, but it is likely that hundreds of people gathered at the stones. Stonehenge is just one of hundreds of stone circles that have been found in Britain. During the early Bronze Age, circles built from stone or wood played a very important part in the religious life of the British people. 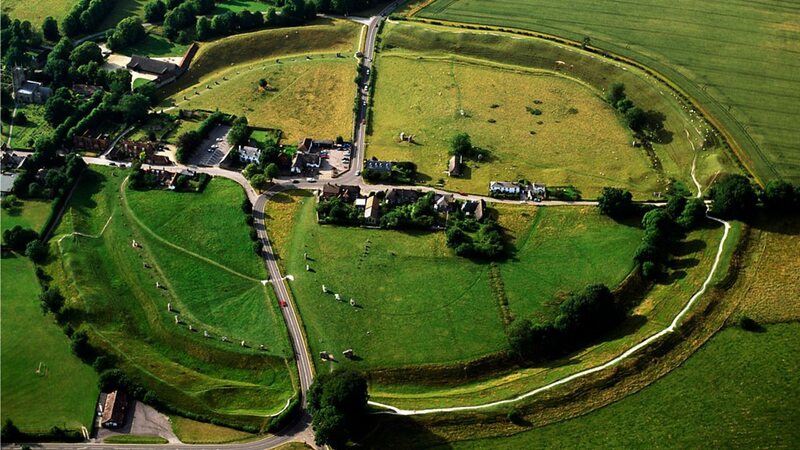 Avebury is actually three circles in one! Two rings of standing stones stand inside a much bigger structure, known as the Great Circle. 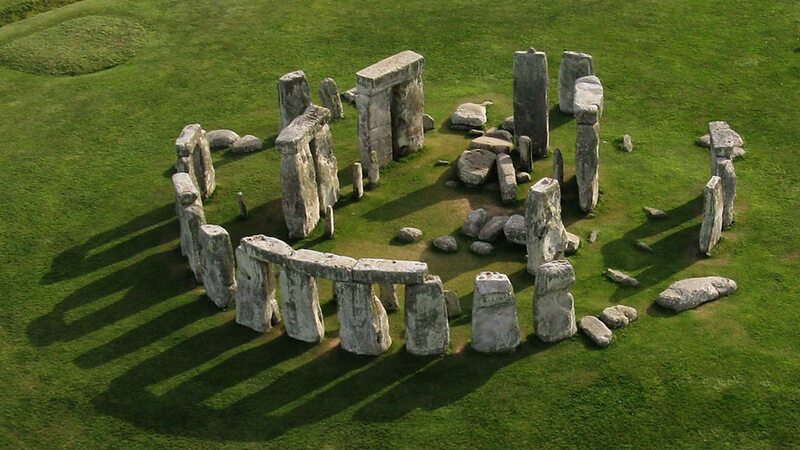 When it was completed in the early Bronze Age, there were around 100 stones in the Great Circle. 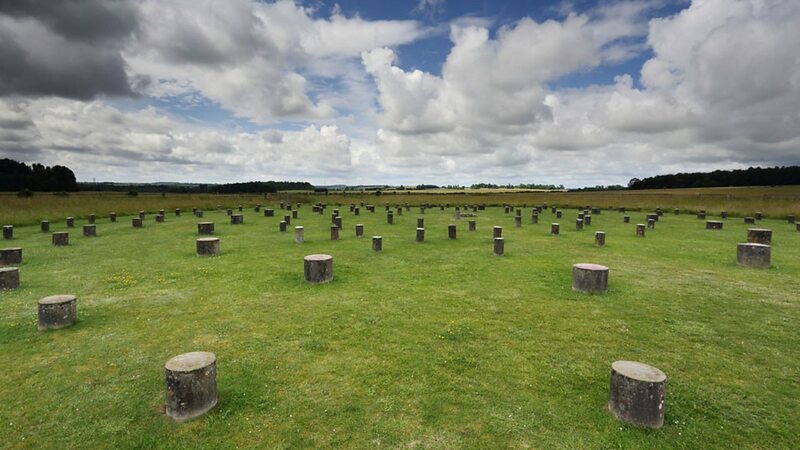 Woodhenge is just two miles away from Stonehenge. It was a circular structure made up of 168 wooden posts. There is evidence that animal sacrifices were performed at Woodhenge. There may even have been some human sacrifices, too. This is the Ring of Brodgar on the Orkney Islands in Scotland. 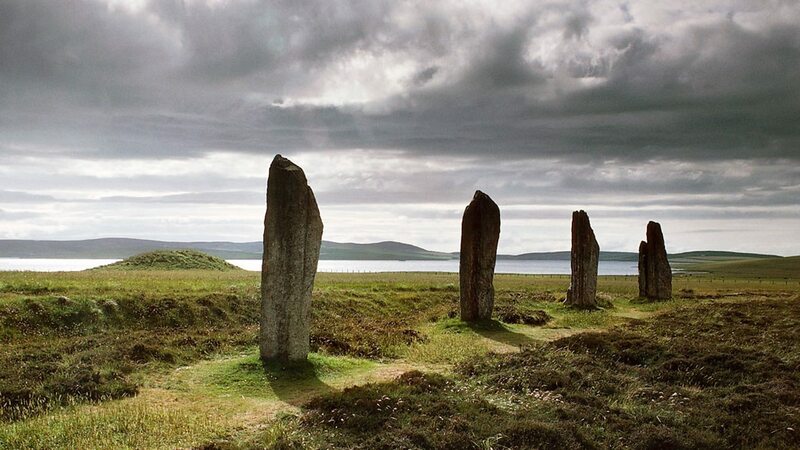 Today, only 27 stones are left standing, but when it was built in the early Bronze Age it had 60 standing stones. 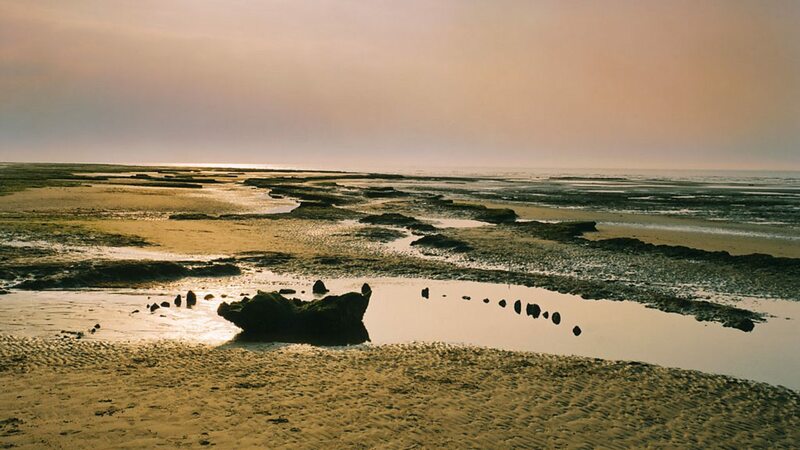 Seahenge was uncovered on the Norfolk coast in 1998. It’s formed of a circle of wooden stumps made from oak. Seahenge was originally built on marshes close to the sea. Bronze Age people probably gathered here for funerals.